We know complicated cases. Over the decades, we've helped clients navigate through some of the most complex legal situations. From the minute you hire us, we know what we need to do to protect your rights. We know what evidence to gather and what experts to hire. We also know that we need to act fast – we begin working as soon as we get your call. We hit the ground running and are not scared to fight for your rights from the very beginning. Our attorneys have decades of experience handling the most complicated injury cases, and we're ready to put that experience to use for you. We can only do that if you get in touch with us. We're here to listen to the details of your situation and explain your options. The legal consultation is free and there are no strings attached. Call 1-866-943-3427, or fill out a simple legal consultation form. If you decide to hire us, there's no fee unless and until we win your case. What is a Complicated Injury Case? A worker on a construction site is badly hurt when a stairway collapses. There may be a case against the general contractor and carpentry subcontractor for negligent construction, the construction manager for failure to inspect, the owner for failure to disclose known dangers, the architect for negligent design, and a product manufacturer for a defective product. A client was hit by a tractor-trailer in a construction zone. The truck hadn't been properly maintained and the construction zone didn't have the correct signage. This case could involve the trucking company, insurance companies, and the party responsible for the construction zone signs. In situations like these, your attorney has to be prepared for all possible scenarios from the beginning. You can only be this prepared if you've handled a number of these complex injury cases in the past. We have – and our track record proves that we understand what it takes to get you the compensation you deserve. You need to trust your attorney. He or she will make important decisions that will affect you and your family for years to come. You should feel comfortable with their accomplishments, experience, and how they've handled previous cases. Hiring the wrong attorney can have serious, permanent consequences. An attorney without enough experience "won't know what they don't know." In other words, they can't predict what's going to happen as the case progresses and can make bad decisions early on that affect the outcome of your case. For example, they can fail to present or preserve necessary evidence to prove your case, which could decrease the value of your claim, or in the worst possible scenario, destroy your case. Attorneys need adequate resources to successfully handle complicated claims. 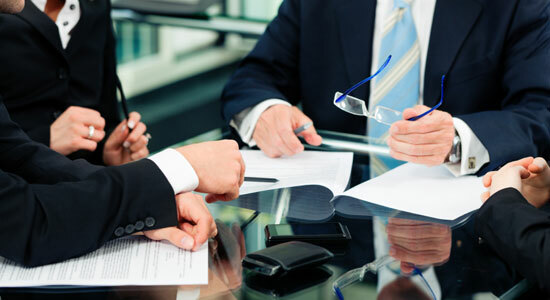 We can hire the best experts and utilize state-of-the-art resources to help us build your case. Over the years, we've handled every type of accident case. We've helped our clients through stressful, overwhelming times, and we can do the same for you. Feel free to give us a call at 1-866-943-3427. Our phones answer 24/7 and our legal consultations are free. You can also fill out the form at the top right of this page. There's no obligation to use our services, and if you hire us, there's no fee unless we get money for you.